Whiskey is produced around the world, but bourbon is the quintessential American spirit, and like all spirits, there is a right way and a wrong way to drink it. Yes, we’ve all seen the old westerns where the hero or the bad guy demands “Whiskey!” and the barkeep pours a shot, which the aforementioned hero/bad guy throws back in a single gulp. But unless you are getting ready to meet the Clanton Gang at the OK Corral, there are kinder, gentler methods of drinking a fine bourbon which will immeasurably enhance the experience. The first way to enjoy bourbon is neat; that is, undiluted, at room temperature. Much like Scotch whiskey, the bourbon experience includes the spirit’s fascinating oaky, nutty, caramelly, smoky aroma, which is lost when consumed from a shot glass. 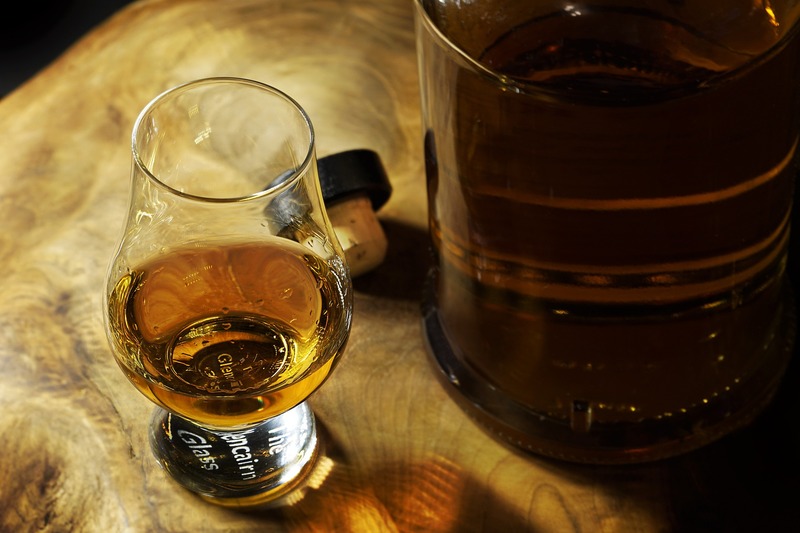 Instead, pour your bourbon into a Glencairn whisky glass. This revolutionary glass was specifically designed with a tapered mouth that allows you to savor the complex and nuanced aromas of your favorite bourbon. Those aromas excite your senses and prep your taste buds for a complete experience. The second way to enjoy bourbon is diluted with water or ice. Bourbon is typically stout enough to stand up to a little dilution. Adding water can cut the heat a bit and allow some of the spirit’s playful sweetness to shine through. Solid ice is also a good choice as it melts more slowly, allowing you to take your time and savor the flavor. If you’re going to cut your bourbon with water or ice, consider using a rocks glass or an Old Fashion glass with a bit of a tapered mouth, to funnel the aromas to your nose.